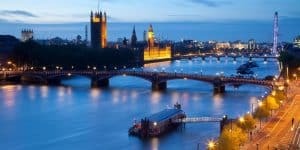 Rockbottom airfares by low-cost airlines Norwegian, WOW and others mean it’s easier to justify a 4 day trip to cities like London to take advantage of the City Break and a Country Retreat with Red Carnation Hotels ‘Town & Country’ London offer. London and the Thames River. Major capitals of the world can never be totally explored even if one lives there so by far the best way to get a quick overview of the U.K. is to combine a visit to the vibrant, cosmopolitan capital with a trip to the peaceful and scenic countryside. 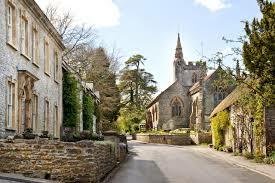 The juxtaposition of town and country illustrates the remarkable range of experiences that this diverse country has to offer, from the soaring monuments and world-class museums of London to the rolling hills, gorgeous gardens and World Heritage Jurassic coastline of Dorset. I’ve made many concentrated visits over the years and haven’t scratched the surface yet! Several times we’ve stayed at different Red Carnation Hotels in London and loved their locations, sumptuous decor and outstanding service. 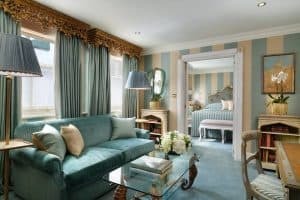 Now with its ‘Town & Country’ offer, which combines a one-night stay at Dorset’s serene Summer Lodge Country House Hotel, Restaurant and Spa with a night at one of Red Carnations six spectacular London properties you can have it all. Visit Evershot while you’re staying at the Summer House in Dorset. Located in the picturesque village of Evershot, the scene of many novels by acclaimed author Thomas Hardy, and my next time in the UK, the stunning five-star Summer Lodge is a charming 24-bedroom Relais & Châteaux property that ranks among the finest country house hotels in England. 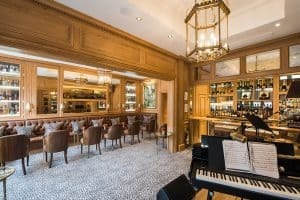 Guests can dine in the highly acclaimed restaurant, enjoy decadent treatments at the on-site spa, play tennis or croquet, or relax and unwind by the fire in the cozy bar, where there is a vast range of malt whiskies, brandies, classic cocktails and an extensive wine list to choose from. The property is adjacent to the 600-acre Melbury Estate and Deer Park, an expanse of verdant Dorset countryside that’s perfect for strolling during warm summer days (just like the Queen at her country estates). 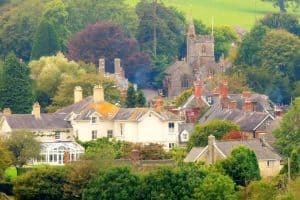 Dorset is also home to a range of exhilarating opportunities for walking, cycling, horse riding, fishing, golf, and falconry. There are idyllic beaches and charming small market towns just a short drive from the hotel. It’s easy to see the Summer Lodge will require a return visit! Luxurious suite at the Milestone Hotel. London. 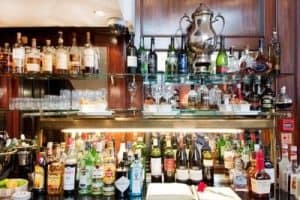 Many amenities as this well-stocked bar at Hotel 41., London shows. The Milestone Hotel and Residences in Kensington (like the home and service + High Tea you’ve dreamed of), or The Egerton House Hotel in Knightsbridge. All six luxury, boutique hotels are renowned for their exquisite fine dining, sumptuous surroundings, and highly personalized service that’s driven by the ethos “no request is too large, no detail is too small.” We showed up one afternoon at the Milestone after being caught in a fierce downpour and were smothered with large towels and care. Each hotel is ideally located within walking distance of major attractions such as Harrods, Kensington Palace and the British Museum, plus theaters helping to maximize your time in the city. Haphazardly wandering the streets is wonderful but we’re usually trying to see it all! Red Carnation Hotels have been included for the first time in Travel + Leisure’s 2018 Top 20 Hotel Brands in the World listing as the No. 2 hotel company in their 2018 World’s Best Awards.. “This accolade is one of our proudest moments,” said Beatrice Tollman, president and founder of Red Carnation Hotels. accommodation in London and one at Summer Lodge; breakfast each day; train travel between London and Dorset; and transfers between the train station and Summer Lodge. 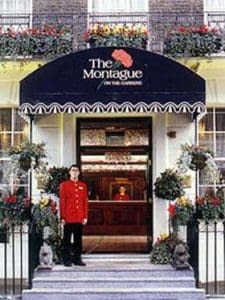 Extra nights at Summer Lodge, The Milestone Hotel and Residences, Hotel 41 or The Egerton House Hotel can be added for $260 per night; extra nights at The Chesterfield Mayfair, The Montague on the Gardens or The Rubens at the Palace can be added for $200 per night. Just think it’s all arranged for you! For more information about The Red Carnation Hotel Collection or to make a reservation, visit us at www.redcarnation.com or email book@rchmail.com.